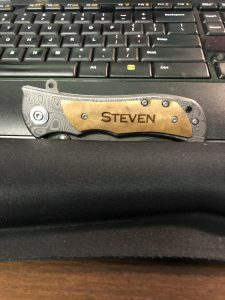 Recently, a company called Groovy Guy Gifts reached out and asked me to test one of their products. 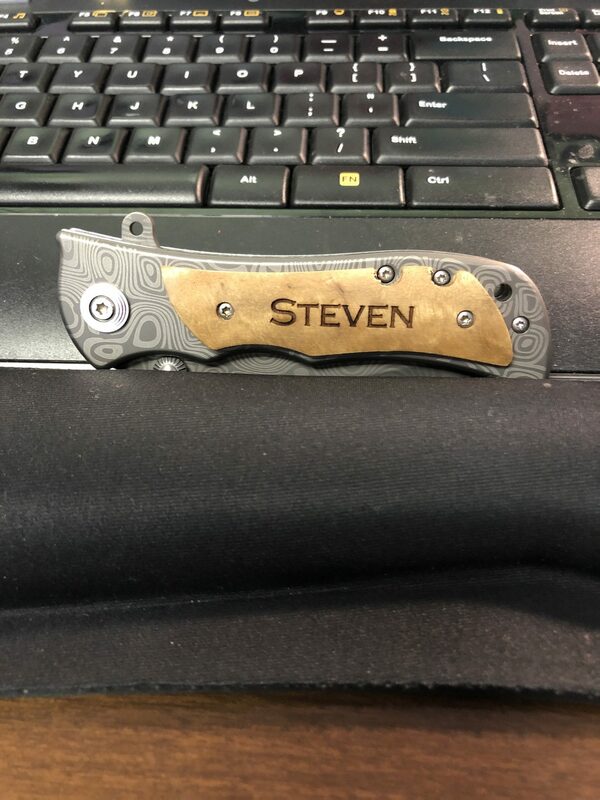 I picked the Forged knife and had it engraved with my father’s name. My father loved the knife and added it to his growing collection of pocket knives. Reasonably priced, the quality is great, and the locking mechanism is user-friendly. Also, if anyone is planning ahead for Father’s Day gifts or if any father wants to send a friendly reminder to his children about Father’s Day, Groovy Guy Gifts has a blog post on great Father’s Day gifts for beer lovers. Click here to check it out. My first impression of the website was that everything is affordable, and shipping is fast (even for personalized items). My second impression was that a plethora of beer related items are sold, such as growlers and mugs. Check out the Angry Amber Growler. *keep in mind that in North Carolina certain rules and regulations apply to growlers. Check out Beer Law Center’s blog post: Growlers-Rules and Requirements in NC to make sure you as the brewery and you as the consumer stay compliant.